Are you constantly stressed about work, family issues, or finances? If so, you could suffer from chronic stress. The effects of stress are more than moodiness, and fatigue. Stress can expand your belt line. When you are stressed, diet and exercise is probably not enough to lose weight. 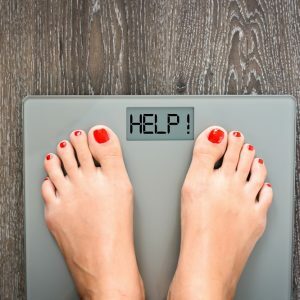 Why does stress prevent weight loss? Chronic stress leads to high cortisol levels, which is also the “stress hormone” that causes weight gain. While your cortisol need to be controlled, the hormone should not be eliminated from your body completely. Cortisol allows us to continue normal processes during high levels of stress. Unfortunately, our bodies do not seem to know when to stop producing cortisol. In excess, cortisol reduces the body’s ability to produce amino acid and build muscle. Cortisol also releases chemicals that prevent growth hormones, raises blood sugar, reduces your body’s ability to burn fat, and increases appetite. Diet and exercise will still have a tough time combating cortisol’s impact on the body. To lose weight, you must first focus on decreasing your daily stress. Incorporate these tasks into your daily routine. We know that exercise is good for us. However, we are too busy and stressed to fit it into our life. That mindset is exactly why we should make working out a priority! Exercise decreases stress levels, which eventually can make working out feel like a comfortable fit into your daily routine. Exercise is an imperative lifestyle change to losing weight. Not only are you burning calories, but also decreasing cortisol levels. Sleep allows our brains to recharge. Even slight sleep deprivation can affect memory, judgement, and mood. Research shows that the healthiest and happiest Americans receive at least eight hours of sleep per night. If you are working out and eating right but still holding onto those obnoxious 5, 10, or 20 pounds, make sure you are well-rested. Meditation is a practical tool for coping with anxiety and stress. Researchers for John Hopkins University investigated 19,000 meditation studies. They revealed that mindful meditation can help ease psychological stresses like anxiety, depression, and pain. People with high anxiety cannot distinguish between a problem-solving thought versus a worry with no benefit. Mindful meditation brings awareness to the present through breathing. Eventually, meditation can decrease stress levels by helping you focus on the present instead of worrying about past mistakes or future decisions. A Fitness 1440 Personal Trainer can help create a fun workout plan that decreases your stress levels. Stop into the gym today and ask how we can help!